Nation in a death spiral! 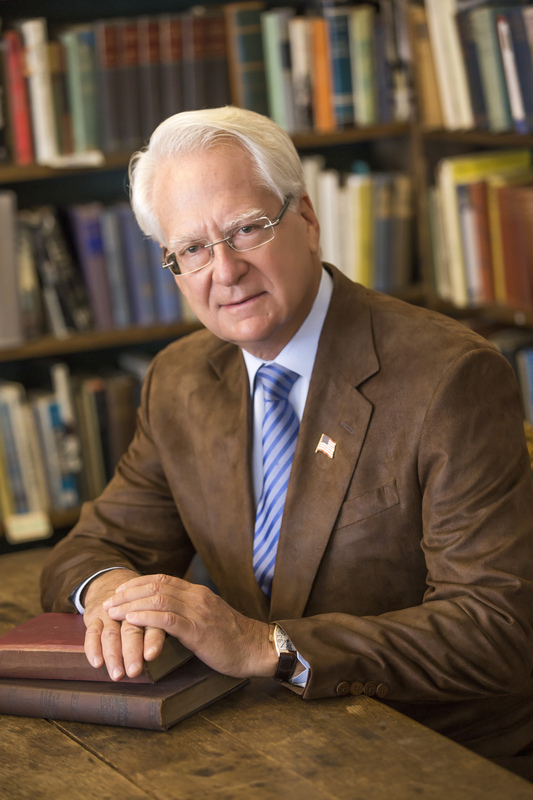 Go to www.FreedomWatchUSA.org to Sign Petition to Appoint Klayman as Special Counsel. Please Donate and Share! As has been the case for some time when it comes to politicized law enforcement and the dishonest and unethical judges who infest the bench, this week has brought forth more political and judicial outrages, which if allowed to continue will soon bring down our great republic. Let me enumerate, as frankly I am mad as hell and can barely take it anymore! It's time for We the People to rise up and take control of our own destiny, before the nation as a whole sinks further into corrupt quicksand. First, there was the vote in the Republican run Senate Judiciary Committee this week to send a bill to the floor that would effectively prevent President Trump from firing special counsel Robert Mueller and his rabidly leftist staff. This proposed legislation was supported by the establishment chairman of the committee, Charles Grassley and three other Republican establishment senatorial hacks including infamous "Never Trumpers" Senators Lindsey Graham and Jeff Flake. Not only is this bill unconstitutional, as the president has absolute power to fire Mueller as he is the head of the executive branch of government, and sits over "his" Justice Department, it confirms what I have been saying all along that The Donald better start watching his back. The Republican establishment, composed of the likes of Grassley (who I have determined based on my own personal contact with him over the last few years is not only a two faced pol, but also has become senile) and the rest of the Republican establishment are the equivalent of Caesar's Brutus. In short, it is now clear to all with even an 80 point IQ that the Republican establishment wants our fearless leader dead and buried by Mueller. In this way, the money train that lines the pockets of both the party establishments can continue to jingle the change for the politician lowlifes who largely infest our nation's capital. And, then there is our "cowardly lion" of an attorney general, Jeff Beauregard Sessions, who to try to persuade the president from firing him, along with his lackey deputy attorney general Rod Rosenstein, now seeks to justify not appointing a special counsel to investigate the Clintons, Obama, and the rest of the Deep State criminals, because special counsels "take on a life of their own." Of course, "Jeffrey Baby," that is the point! If I was appointed special counsel by the president one could as well be damn sure that my charge to bring elite criminals to justice would have a life of my own, based on legal representation of the American people, not the bi-partisan establishment elites in the capital of corruption, aka the DC swamp. The fraudulent Inspector General and U.S. Attorney investigations you, Jeffrey Baby, say have ordered into the Clintons, Comey and the rest are just for show and not for dough – designed only to create the appearance that something will be done to redress our dual system of justice, where the higher ups go scot free but we peasants must adhere to the rule of law. Disgraceful! Couple all of this with more outrages by the judiciary this week, and it's no wonder that I am now reaching for my blood pressure pills! As I am writing this column, one of the worst judges on the federal bench, the politicized and dishonest Obama appointed Amy Berman Jackson, has issued an opinion dismissing the challenge of Paul Manafort, The Donald's former campaign manager, to Mueller's authority for having indicted him for alleged crimes unrelated to alleged Russian collusion, obstruction of justice or for that matter anything else that comes even close to the president. See John Bowden, "Judge Tosses Manafort Lawsuit Challenging Mueller's Authority," The Hill, April 27, 2018. Judge Jackson, not coincidentally an ultra-leftist Harvard educated woman, is anything but a neutral honest jurist. She is a legal witch in the vein of Hillary Clinton, her "role model" – having previously denied Manafort bail and confined him to house arrest, as well as imposing an unconstitutional gag order deny him First Amendment rights. Previously she wrongfully conveniently dismissed a complaint against her "role model" over the tragedy of Benghazi and the wrongful deaths of American heroes Ty Woods and Sean Smith, who were murdered by terrorists who learned of their whereabouts, along with Ambassador Christopher Stephens, by hacking Ms. Hillary's private unsecure private email server. Even worse, she dismissed this case, which is now up on appeal, on the eve of Memorial Day in 2016, not just to curry favor with her "role model" – perhaps to land her a higher appointment should Hillary have won the presidency – but also to stick it to the parents of our fallen servicemen, Gold Star parents Charles Woods and Patricia Smith. Sleazy and low class are words too kind to describe this corrupt jurist. But let us not just go after corrupt leftist federal judges like Jackson without also taking stock of the slime that lurks in the swamp of establishment Republican jurists. 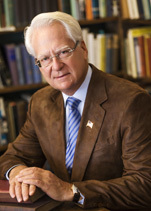 None other than the venerable John D. Bates of the same U.S. District Court for the District of Columbia as houses Jackson and a cavalcade of other hack politicized jurists, this week ordered that President Trump's executive order vacating Obama's illegal order "legislating amnesty" for illegal immigrant children, aka DACA, be nullified. This appointee of the establishment and clueless Republican President George W. Bush wrote an unconstitutional decision consistent with two of his leftist renegade colleagues in other districts. Then, on the state level, in the township that yours truly grew up in, Montgomery County, Pennsylvania, another politically compromised judge, Steven T. O'Neill, presided over the jury trial that finally convicted comedian Bill Cosby. Without regard to whether Cosby is a sexual predator of women, Judge O'Neill improperly manipulated the jury by doing a 180 degree reversal of how he had administered to the first Cosby trial, which ended in a mistrial. Letting in evidence and testimony improperly that five other Cosby accusers had experienced similar alleged conduct and that Cosby had entered into a civil settlement with the victim woman years ago, Judge O'Neill, whose wife perhaps not coincidentally is a radical feminist, changed course from earlier rulings in the first trial to put the nail in Cosby's coffin. Cosby – who I never found funny and whose leftist politics I disdain – did not get a fair trial thanks to the lynch mob mentality of the greatly anti-male Me Too Movement, which obviously put pressure on Judge O'Neill to reverse his earlier rulings. The manipulated jury verdict is now likely to be overturned on appeal, that is if the appellate judges are not also influenced by the runaway Me Too Movement. In short, between the establishments of both political parties, and our corrupt judges, the nation is now in a death spiral! Go to www.freedomwatchusa.org to sign up for our citizens army before it is too late to save the republic!